Bayer CEO Marijn Dekkers states in a WSJ article the company’s spinning off their $10 billion plastics division because it’s losing money. Hey #Essure victims any thoughts on why the company would be losing money on their plastics division? Material Science or plastics division encompasses polycarbonate, polyuerethene and other poly products that make everything from laptops to soccer balls but the Wall St. Journal article by Christopher Alessi fails to mention that the other poly products include polypropylene found in Bayer’s permanent birth control device Essure. Over 6,500 Bayer Essure victims can attest that Mr. Dekkers is anything but kind when it comes to what his company’s product has done to their bodies. Mr. Alessi’s WSJ article also fails to mention how three administrator of the Essure Problem Group went to DC and met with the FDA who are now opening an investigation into Essure nor did he speak to any of the women who’ve been injured by Bayer’s Essure. 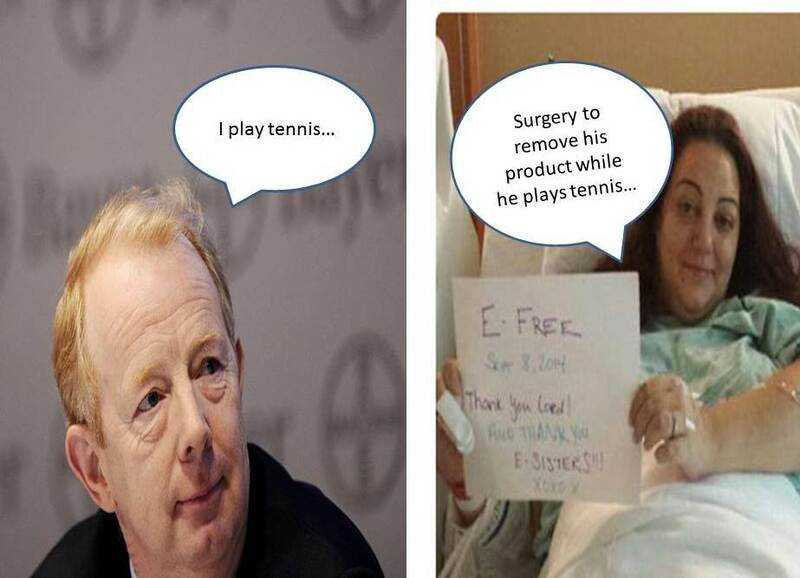 But we do find out Bayer CEO Marijn Dekkers is an avid tennis player. And in case the WSJ or Mr. Alessi think this is just an isolated problem with just Bayer, let’s remind them that another CEO, Johnson & Johnson’s Alex Gorsky, stated that “you don’t have to get it 100% right, when you get things 60% right, go,”* and they’re also having poly problems and currently have 36,000 cases in state and federal court regarding Johnson & Johnson’s Ethicon’s Gynecare’s TVT . 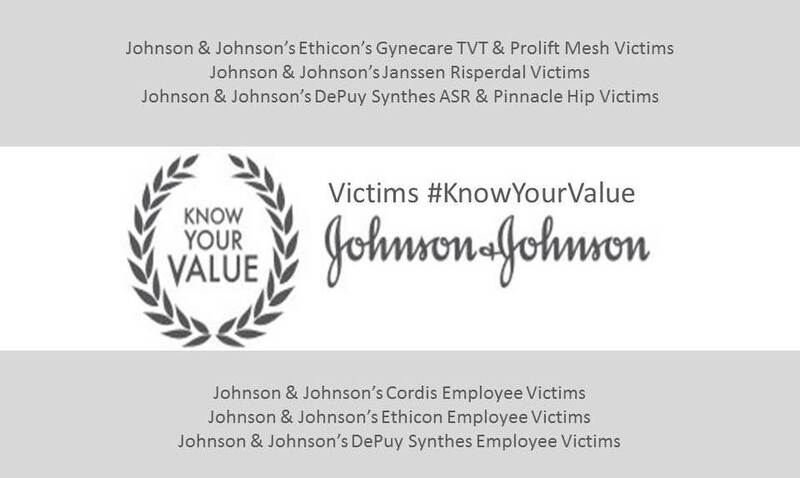 It’s interesting Johnson & Johnson would sponsor MSNBC’s Morning Mika #KnowYourValue Tour when so many victims know Johnson & Johnson’s value as well as thier own. Federal Judge Goodwin is currently overseeing 70,000 cases regarding mesh (polyproplyene) cases against medical device makers: American Medical Systems, Bard, Bayer, Boston Scientific, Coloplast, Johnson & Johnson’s Ethicon’s Gynecare.